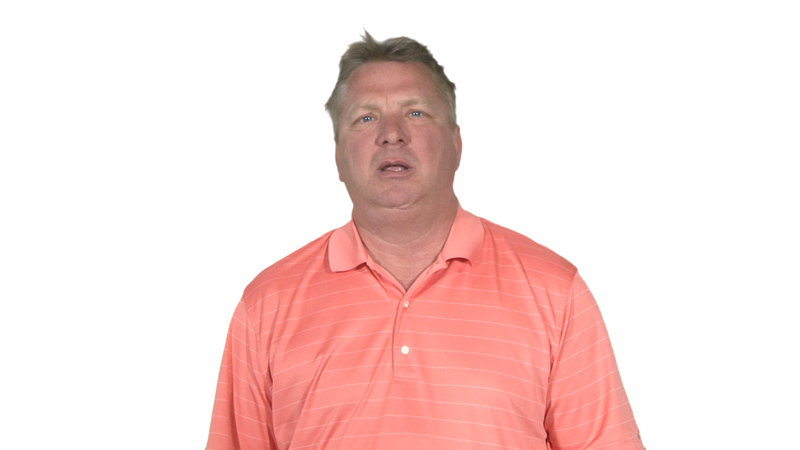 Hello, I’m Steve Gordon, Vice President of Atlantic Gasket. I’ve had the pleasure over the last ten years to work with DDA. They’ve done an excellent job for us and we’re currently launching our second website. Working directly with the team at DDA has been a great experience. The quality of the product is excellent. We are extremely pleased with our website and we’re looking forward to the new activity that will be sure to be headed our way. We wanted to show what Atlantic’s capabilities are in a simple photo. We were able to bring samples directly to them. They presented them in such a way that one photo gives us an overall view of what and who Atlantic Gasket is and what capabilities and products that we can help provide our customers. Working directly with DDA, they have held our hands along the long journey, and it has been an exceptional process. DDA is an excellent company and we’ve enjoyed the relationship, and we look forward to growing together in the future. 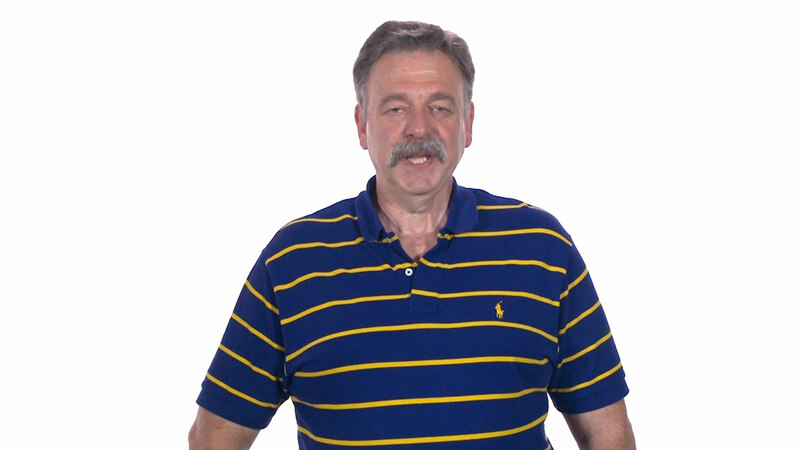 Hello, my name is Wayne Hayward and I’m the director of marketing at a company called Tinius Olsen, a long-time manufacturer of material testing machines that address a whole gamut of different industries, so we have a very diverse product range and more importantly, a very diverse application of the product. We approached DDA about 15 years ago and we were looking for the design of a new website. And over the years we’ve done a number of different website designs, and have included a number of application-based websites, product-based websites, and also a corporate website. We actually came up with—several years later—and redesigned the website, so it’s been a long-term relationship with DDA. DDA have been incredibly responsive and have come up with all sorts of innovative and ingenious ideas on a lot of these kinds of things. And we kept the designs current, and improved SEO, added content management, and everything else that goes along with web design, was absolutely superb. And DDA were tremendously responsive in all of the requests that were thrown at them. Additionally, they came up with some very ingenious solutions to some of the more unique applications that we have. I would recommend DDA as strongly as possible for their input and their integrity. They are a team that is great to work with, very responsive, very friendly. What more can I say? Hello, my name is Marie Molnar-Hammond. I’m the current Vice President of Marketing and Product Development at ChemImage Corporation out of Pittsburgh, Pennsylvania. I just wanted to talk a little about my relationship with Dynamic Digital Advertising, better known as DDA. In the past 15 years I have worked with DDA on developing iconography for companies. They have worked with me on strategic branding, website development. We have done a variety of videos for promotion and for training. We have developed trade show graphics. At one point we developed three simultaneous trade show booths to be interactive at a major show. I have to say that working with this group has been a very important part of my career in marketing. They are very responsive; they are very knowledgeable in the ideas of marketing and branding; they come within their cost proposals; they make exciting recommendations on how you can enhance your brand and also your position within your unique areas of application. As the Vice President of Marketing and Product Development for ChemImage Corporation out of Pittsburgh, Pennsylvania, I highly recommend you talk with this group and hopefully work with the group. 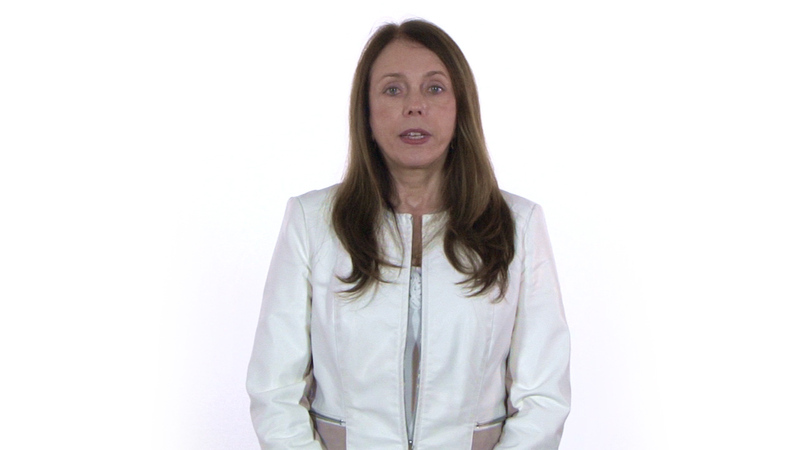 Hi, my name is Judy Roth, and I'm a marketing manager in the medical device industry. I was involved with DDA through a former employer of mine and was always so impressed with the work that they would do and the deadlines sometimes that we in our business put them under. When I started a new position recently, and we were looking to do a lot of work building a brand-new website—our entire lead system for our sales reps had to be redone, we were refreshing our brand and our logo, which of course required a lot of redesign of our brochures, etc . . . so I thought of DDA. We were looking for a new agency, and they came in and outlined a program they could do with us, and we went with them, and we're moving along on schedule, and everything is going great. I was so pleased to be able to work with these people again because everyone here is absolutely wonderful and really, really good at what they do: videos and photography—really, a full-service organization. And they do it all themselves, so they don't farm out any of their work to anyone else. So, it's able to keep costs down, etc. And I've just been thrilled working with them. I'm really happy to do this testimonial and I would highly recommend DDA for anything you might need in the area of marketing and promotions. They are a one-stop shop. You're always working with the same people. They can customize—they have the flexibility to customize your solution for you and for your business. 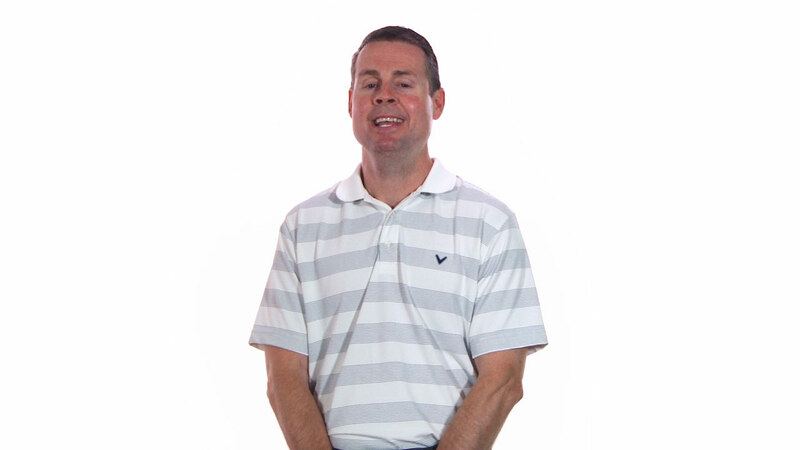 Hi, my name is Brian Sommar, and I'm the business development director at MPS Communications Graphics. I met the DDA Video team about 3 years ago. One of the first things I recognized about the organization is their sense of teamwork. Whether somebody's there, on vacation, somebody's going to answer your email, because they back each other up, and that is a hallmark of this organization, and starts at the top, and goes throughout the entire organization. The DDA Video team really came through for us with this one major shoot that we had for our client. We were confronted with two rooms on either side of the room we were shooting in, and we had a lot of external noise. They pulled every piece of equipment that they had brought on site to help minimize the audio interruptions. The final product came out flawlessly due to their great editing and skill on site at that time. The DDA Video team has great post-production skills. We went on a shoot and had some very distracting cars in the background of our subjects. 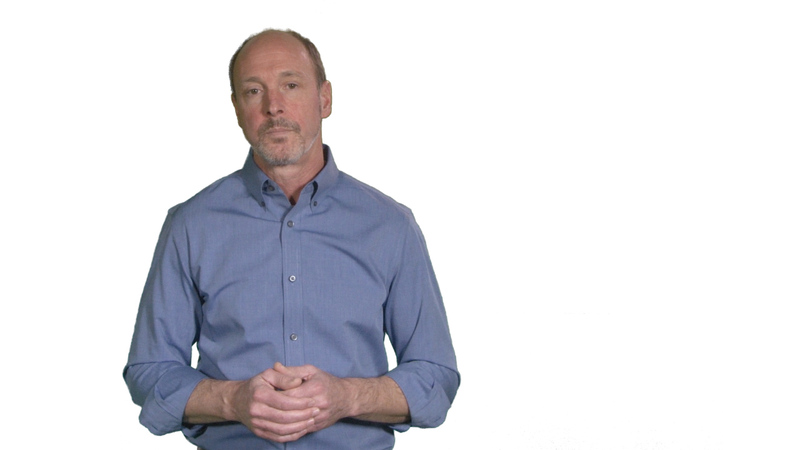 We didn't have time to go reshoot the videos, so DDA came in and painstakingly masked out the background so that the client didn't even see any of those distractions, and nobody knew that they were there. Job well done! Hello, my name is Dennis Stanton of Stanton Systems. I've been a client of DDA for about 20 years. 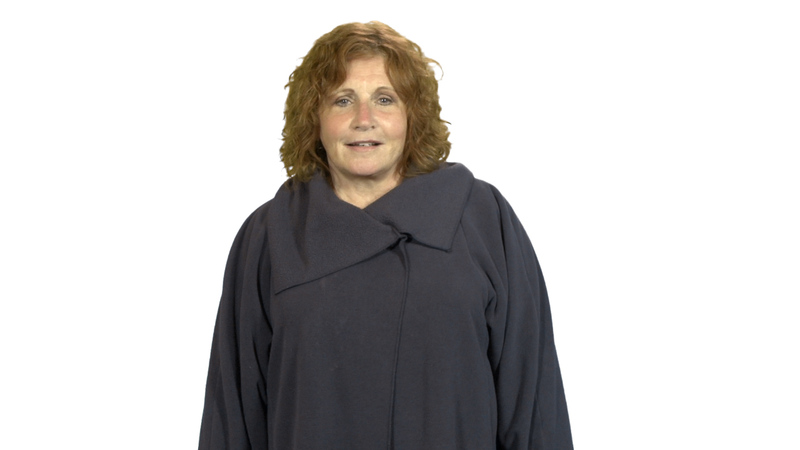 Over the years DDA has created videos for my company and has designed and managed my website. They have also provided SEO services for our site to keep us on the cutting edge with our competition. We have been complimented many times about the design of our website and ease of use. They are very easy to work with and very professional. They are always there when I need them and always provide good and accurate information. I would highly recommend DDA to any business owner. I just wanted to give you and the rest of the team a verbal "pat on the back" and say what a sensational (and I choose that word purposely) project you are putting together!!! These images are like nothing in the swallowing world and will surely highlight not only the science we have worked on for years, but the complexity of swallowing physiology in an environment that will maximize learning. Absolutely jaw-dropping sensational!!! Way to go!!!!. Oh My God!!! It's Beautiful!!! I love it...Thank You Sooooooo much. The trade show was very successful for us & our traffic flow was steady and strong. Of course, thanks to you and your group's efforts, QCCH's presence was alluring, eye catching and very professional. You did a tremendous amazing job! We are very pleased and appreciative of all your hard efforts. Thank you! You’ve all done an excellent job with this webcast and we’re so pleased with how well it turned out! My editor and I were also saying how impressed we’ve been in your responsiveness to requested changes – we really appreciate it and it makes our job much easier.Thank you! We are extremely happy with the website and video you have constructed for us. Thank you! ..thanks so much! We know that this will provide a big boost to our sales efforts. Thanks for keeping me informed of your team's time input. I, and most certainly DDA, has found it to be significantly less costly to correct a storyboard rather than it's animation. So...I consider any extra storyboard time to be money well spent. You have my "go-ahead"! Thank David and his team for really helping me to nail down the concept. Thanks so much. We really appreciate your willingness to do this and the wonderful way you have worked with the models. Everyone is so excited to be part of the project and I think much of that comes from DDA making this both a professional and fun experience. To all who were involved in today's video shoot for the EC Website — BRAVO! BRAVA! Great work all around and I am terrifically excited about this piece of the Website overhaul. To those who were not there, I will fill you in on all the details under separate cover, but know that the models were perfect, prepared, and very committed to the issue; and DDA was prepared, flexible, and so generous with their time, talent, and space. It was an honor to be a part of this today — can't wait to see the outcome. We were waiting to here from one of our South American distributors to make a ruling on the video. They have returned a glowing review, and I quote: The Spanish is perfect and also the pronunciation is very good. Congratulations and good work! Douglas, I approve of the final high def video. We love it!! Thanks Darlene! All of these videos look great! We’re really happy with how they turned out, they’ll add a lot to the website. Lots of very cool shots that show off our inventory and capabilities well. Great work!! But Wait, There's More Below! "Thanks for all the great work and cooperation!" "I agree with Shawn, the website looks great. I like to thank you and your team for all the professional work!" —Dr. Branton, Pain Centers of New England. "I just wanted to quickly touch base with you. It looks like we are rapidly approaching the beta and I wanted to say that it has been a great journey with DDA." "The home page looks great. Our booth looks great. TY for all the work." —Commercial Water & Energy Co.
"Your team performed above expectations, as they always do. " "Terrific. FYI - Rob and I are always pleased with the timeliness, thoroughness, and courtesy of all interactions with DDA during this process. This has not been my previous experience on similar projects. Nice change! Thanks "
"Thanks for everything over the years, your help, your professionalism, your quick to respond attitudes and the great people you’ve hired that I have had the pleasure to work with"
"Hi Jen, H&N Wind [website] looks great and professional." "Hi Judy, All four versions are superb! Thank you very much for your awesome work! I am delighted." "Thank you to all at DDA for a job well done!!!" "Thanks Darlene! All of these videos look great! We’re really happy with how they turned out, they’ll add a lot to the website. Lots of very cool shots that show off our inventory and capabilities well. Great work!!" "Douglas, I approve of the final high def video. We love it!!" "Thanks for all of your help and we are looking forward to going live in the morning. The site looks awesome! You and your team did a great job and have a lot to be proud of. Thanks for all of the hard work that everyone put into this project." "David, thanks for all the hard work that you and your team have put into our new website. It looks awesome and I can’t wait to launch it." "Thank you and your staff for a excellent job on our new Cloverredi.com web site." "Just wanted to thank you for all your help with this HR program. I was just handed the first award of the program for all of the great work that was done. Thanks again." "I can't tell you how many problems this is going to resolve! On behalf of the entire staff, Thank You! Please extend our gratitude to the developers as well, for getting this done so quick..."
"Hey Guys, I thought it was going to be a tough task to turn around a video in less than a month, let a lone a video with this quality. Thank you very much for all your help." "Hi Jessica, Just wanted to give you a shout out that whatever you did as stated below has given us several new potential customers. At least five of them has sent us request for quotes. We were all talking about how many new quotes from different companies have come in last week and I remembered that you sent out this e-mail stating that you guys were doing what you do best. Just thought you might like to know we have noticed the results. Thank you so much. Great job, we appreciate your efforts." "Hello Darlene, thank you very much. I appreciate all that you have done and the team at DDA. You guys are awesome! I have only praise for the entire team throughout the years – from my initial telephone calls to David with a hundred questions – working with everyone through the build process right up to this morning." "Thank you and Judy for all your help….The PPP looks great! We came a long way in a short period of time." "The booth turned out great!" "The new Lightsphere website DDA designed is phenomenal." "Thank you Jessica for your help. You all do such a great job." "This is just short note to let you know the PPP DDA developed for the EPC went very well. Of the eight presentation given during the Monday session, Gimpel had, by far, the best slides. The artwork, curves and data tables all projected very well and were easy for the audience to follow. I hope we have an another opportunity to work together in the near future. " "DDA has created a very professional presentation and I thank you." "Thanks for the quick work. It really helps us out!" "As I mentioned to you over the phone last week, I spent a great deal of time reviewing the website while in Chicago. The user-friendliness on an iPad was spectacular, the pages loaded quickly and the sizing of all design elements, menus and fonts is perfect." "Thank you for the update. We are starting to see some RFQ from our website, about 6 so far and have gotten one job." "The home screen images chosen for the rotations are perfect...the design team did a great job on all three concepts!" "Yes, we got the trade show graphic. I wasn't in the office but had a photo sent to me. It looks great! Everyone likes it. Thank you very much for getting this done for us so quickly." "We are thrilled with the new website and are receiving a lot of quality leads. "We are currently designing a connector for a major national company that we had been trying to reach out to for the longest time, even called on them in person, but then another division of theirs found our new website on their own, and contacted us about developing the connector. The order is huge!" "Last, I'm very happy with the condition of the site, especially compared to what we inherited. More great work by you and the DDA team, as usual. I've been working with David and the DDA team for more than a decade by now and you guys have never let me down!" "Thanks! I have already looked at it and we think that it looks great. You guys always do fantastic work!" "Thank you so much for getting both the outside shot and the interior shots over. We loved the outside shot this go around and will be using that for our postcards. We're still sorting through the inside shots, and will be in touch in the near future about any manipulations we may want to make. Thanks again for you and your teams efforts in getting these done." "We were waiting to here from one of our South American distributors to make a ruling on the video. They have returned a glowing review, and I quote: The Spanish is perfect and also the pronunciation is very good. Congratulations and good work!" "I, and the whole ARI team, appreciate all of your hard work, patience, and flexibility. You have all been great to work with and we are very happy with the final result. Thanks again for everything!" "We're already on the first page of google on several of our applications titles and other pages. This is terrific. Thanks for the great work everyone." "Our customer service associate directed a military customer to the new site, and they were very impressed with it and navigated it very quickly." "The video is getting some good reviews, Thank everyone associated with its production"
"These content pages look great! Your writer is very good." "Thanks again for all your help. As always, you guys are so great to work with." "Great job! Thanks for the support!" "Thank you to everyone at DDA for such a quick turn around!" "Thanks for the info. Also, thanks for getting the last series of items done so quickly this week! That was very encouraging. You guys have truly made our vision a reality and it is so exciting to see the system working how I pictured it could. We are getting so close...its very exciting for us! "I would like to compliment the website your company has. In my opinion, it is the best among all of Pandora’s authorized dealer sites. It is beautifully designed and very easy to use. Thank you once again. "THIS IS AWESOME! I am so excited for this website. The outcome is amazing." "Thank you again for all your hard work and assistance throughout the last several months. We have received many compliments on the brochure and it is truly a pleasure to have such a beautiful piece be the face of Friends." "Thanks for doing such a great job on the website!" "Awesome, awesome, awesome...... Unfortunately, our experience with developers has been less than stellar. It truly is refreshing to work with you and the rest of the DDA team." "Once again I would like to thank you for the great work that you and your team did on the HeartNavigator and on the XperGuide app." "Everything appears fabulous! Keep up the good work! " "Please pass onto everyone involved in the project a big "Thank You!" We have gotten many compliments already from our dealers, and you definitely beat our expectations with the animation features. I'd love to submit it for a web award. " "We are elated to see this idea become a reality. We are very proud of this app and hope you are too! We appreciate your collaboration very much in bringing to life such a quality product." "DDA, thanks to all of you for you help on this mammoth project. Your calm demeanor certainly helped us get over the bumps with a minimum of aggravation. So thanks for all your help and we will be in touch." "Great job executing this guys! Thanks for mobilizing your team so quickly. " "I love it! The changes reflect exactly what I had in mind--thank you. " "I just wanted to send a big Thank-you to each of you, on behalf of all of us on the clinical side of the MBSImP. Each of you has played such an integral role in creating the MBSImP's virtual learning environment, and in turn, in helping many, many people for years to come. Each person who successfully completes the Reliability assessment will gain knowledge to either complement and enhance what he or she came into it with or obtain what he or she never had! In turn, the clinician will go on to work with all patients encountered with far greater insight and skill." "It has been a pleasure working with your team. You guys did a fantastic job with this!" "This looks awesome - thank you!! Thanks again for your great work!" "Thanks for the update and the great service (as usual)." "Really fantastic layout. I love the continuous background. This idea is really fresh and unique. Love it! Amazing job! Thanks." "The site looks amazing! We are VERY Happy! Looking forward to our real launch. Thank everybody for their hard work." "The site looks awesome. It has more than exceeded our original vision for the project." "Perfect! You're on top of everything as usual!" "The trade show was very successful for us & our traffic flow was steady and strong. Of course, thanks to you and your group's efforts, QCCH's presence was alluring, eye catching and very professional. You did a tremendous amazing job! We are very pleased and appreciative of all your hard efforts. Thank you!" "Thanks for all your support and great work. You are a credit to your company." "I think it looks terrific...you do amazing work! Thank you!" "Thank you for supporting the project for the past 4 days. It was successful and definitively productive. I am looking forward to review all the photos." "The brochure looks great. Many thanks for everyone's efforts on Malmark's behalf." "I want to tell you that I have always enjoyed working with you and everyone at DDA. I think that you have a really great team. They are always kind, prompt, pleasant, and caring." "EXACTALLY What I need!!! Attached are some reference planograms." "Everything is GREAT we so appreciate your efforts & actually we will need to start conversations with DDA regarding our new release"
"Thanks for reviewing this design with me today. I forgot to mention - while I was inundating you with all our changes - that we were impressed with the redesign. It fits in seamlessly with our current look but still is markedly improved. We liked the stylistic use of the word Mission-Critical equipment under the main photo - nice touch!" "I look forward in our sustained working efforts.You guys have been so amazing. (I will tell everyone about you!--as I have been doing)"
"I just wanted to give you and the rest of the team a verbal "pat on the back" and say what a sensational (and I choose that word purposely) project you are putting together!!! These images are like nothing in the swallowing world and will surely highlight not only the science we have worked on for years, but the complexity of swallowing physiology in an environment that will maximize learning. Absolutely jaw-dropping sensational!!! Way to go!!!!" "Thanks, guys. I'm really looking forward to taking your hard work and putting it to use in 2010. Thanks for the excellent effort and support. Hope you all have a prosperous 2010. " "Happy New Year! My first impression is: It's fantastic!" "Happy Holidays to the whole crew there. Thank you for doing such a great job on our website." "I love the homepage! It looks great great great. Thank you." "Reps that have seen the files are very happy with the turnout. We had a customer come in this week that was undecided on a large job, and when he saw the install video he moved forward. Well worth the investment." "We received many favorable compliments regarding our new product literature. Nice job !!" "I tested the site and everything worked great.Thanks Again for the fast turn around. You guys are really great to work with." "Thanks for all your help in pulling this off on short notice (as usual). Great service as always." "You’ve all done an excellent job with this webcast and we’re so pleased with how well it turned out! My editor and I were also saying how impressed we’ve been in your responsiveness to requested changes – we really appreciate it and it makes our job much easier.Thank you!" "These look very good. These are great and will work nicely. Please show me an example of a thumbnail and still photo when you are at that point. Sooo happy! " "I think it looks really good...I think the basic design concepts look great and I am looking forward to how you put together the rest of the CD. " "You guys hit it out of the ball park! GREAT JOB!!" "We are extremely happy with the website you have constructed for us. Thank you!" "It's been a true pleasure working with all of you. I greatly appreciate the wonderful assistance you have provided, and the ease in working with the whole DDA crew!" "I just wanted to say that, over the weekend, the more I looked at the current version of the animation, the more impressed I became. I'm excited, Beautiful work. We are all extremely pleased!" "Firstly, I just want to thank you for the wonderful CD-ROM that you produced on behalf of Malmark. It was a pleasure to work with you and your staff. The extra CDs arrived here on Friday and they look great! Thank you so much for the great work on this project." "Thank you so much for your efforts. I noticed that MM is now Number One on Google for Military themed jewelry and Number Two on Bing. I am seeing some progress and I appreciate your help." "Thanks for your great work on our project." "We are very happy with the work that your people have done for us on our web site and the optimization to improve our visibility on the web." "I think this looks great ...it is almost like looking at a new model....Wow! Thanks. If there is anything left to alter, it will certainly be very, very minor. Again thank you....and to everyone else involved!" —USA Coil & Air, Inc.
"I love, love, love it. It's fantastic..... In fact, we can go ahead and place it on the site when you're ready." "These renders are nothing short of impressive! Well done, Rob and everyone else involved!! "The web site DDA designed for us is doing wondrous things. In these bad economic times it is a huge help. It gives us reach that would have been impossible only a few years ago. Last week we received a very nice order for power electrical products from a paper mill in New Zealand. If the web site was not top notch, as a small company, we never would have even heard about this business. Thank you DDA staff!" —Robert Michael Educational Institute, LLC . —Peachtree Pain and Spine Assocates . "I'm sure we're the only machine shop in the world with a blog, and you guys have already done a great job getting us optimized. We've gotten some very big new customers because of our optimized site." Perfect!! Great work. Looks fantastic! We like it. Just a few things we can talk about in our call. "Good Job! I Like design6. I will work on getting you the additional information that you need. "Thank you Elise for all your help and the all the work your design team did with our website. I am very pleased. I am sure I will be in contact with any additions and I look forward to working with you and your team in the near future." "Hi everyone, just wanted to let you all know that we received the display today & it looks absolutely FANTASTIC!!! It is exactly what I envisioned from the start. The entire team including my father is VERY pleased with it. Thanks for all of your hard work." "Wow. Very impressive. So impressive, that I have changed my mind a bit. Don’t worry, I’m not prone to this, but seeing the other concepts make me like them better than what I had originally chosen for the home page banner. I just think the illustrations are so perfect." "You’ve done an outstanding job. Not sure if you have any experience with the military, but if not, it’s remarkable how you were able to get the “tone” just right. I love the map and flag in the background on the banner, and the photos are just perfect.I think that’s it. I love it! Exciting to see it come together, and it’s so professional looking"
"My goodness! Making a decision is going to be tough. They all look so wonderful. As always, great work... Thank you all so much"
"I am so happy with this. It looks absolutely fantastic. I don’t see a need to change anything. I think it’s a go! Thank you so much for your work on this. I truly couldn’t be happier. This is exactly the image I’ve had in my head for months now and it’s really wonderful to see if come to life." "The favorite for the design is: #1. It looks fantastic & it has a classic look about it which I love. Simple yet hip. We love all of the wording on it as well. It's hip & strong... Option 1 is definitely the one. Thanks! It's a pleasure to have partnered with you all! " "I did not have a chance to say thank you to DDA for creating a great design and updating my information. You guys did a great job and its appreciated." "I would like to Thank you and the entire team at DDA for making all of this happen in such a short time. I’ll let you know how things go at the trade show in Japan." "We received graphics. They look great. Thanks for all your help." "I am very pleased with the design you have created. It looks amazing!!!! I am very pleased with the site itself. It is exactly what we have been needing for a long time ... I am looking forward to continuing to work with DDA for other projects that I have in mind and you can give yourself the credit for that. You have made this project pleasant. I have some very bright ideas for our Intranet in the future, and as long as the costs are not too high, I see no problem in continuing our business relationship. Thanks again for all you have done to make this a success!" " Thanks so VERY MUCH for these PDFs. Appreciate your thoroughness and quick response. I look forward to receiving the CDM. Thanks again"
"I am so happy that we made this move. Your team is awesome." "The videos look great! (RE: 360 spin Product Videos)"
"Thanks for keeping me informed of your team's time input. I, and most certainly DDA, has found it to be significantly less costly to correct a storyboard rather than it's animation. So...I consider any extra storyboard time to be money well spent. You have my "go-ahead"! Thank David and his team for really helping me to nail down the concept." "Looks great! We’re pleased – please thank the team." "The site looks & works great." "I wish all my vendors were as good as you guys!" "The new clip is great! The presentation is smooth, and the information is clear and concise. Excellent work!" "THANKY YOU, THANK YOU, THANK YOU to the crew at DDA!!" "I can't thank you enough for the beautiful work that you've done here." "As usual, you offered all the information this neophyte requires." So, thanks again for everyone's hard work, creativity, and flexibility in making this all come together. It is going to be a great product! After we launched jprosock.com, a site designed and written by DDA, Dave Peters informed us that the head of a machine shop directory told him it was the most optimized and well-designed machine website he had ever encountered. Find out how good our service is. Free Video Planning Guide Receive 10% off your first project (new clients only).